Oneill Womens Reactor II 2mm Spring Suit is a mid-range surfing wetsuit that is the long awaited upgrade to the wave-making Reactor series. If you've been around wetsuits for a while you'll have heard of the Reactors but the newly upgraded range from Oneill adds the updated Fluid-Flex neoprene without reducing the unrivalled durability we've come to love. Taking a step back, from the recent advancements added to the Oneill Womens Reactor II 2mm Spring Suit, we are happy to report that Oneill have continued to lay smooth-skin coated panels on the torso. These panels repel water, which may sound odd when you think about a wetsuit, but the notion is that: by keeping the external layers dry the wearer is not subject to wind-chill around their vitals/core. Wind-chill increases up to 25x when interacting with wet mediums. The Reactor range of Oneill Wetsuits is a no nonsense range of surfing wetties that won't break the bank, or break - I can't actually say that, but the Reactor are built tough with their flatlock stitching. FluidFlex2 Neoprene: Oneill's most durable neoprene won't let you down because it's too busy making your core temps go out. Get learned at our Neoprene Blog. Flatlock Seams: Flatlock are synonymous with wetsuits as their extremely durable and don't rub like their over-locked compatriots. Sounds like the perfect seam but because the sewing process creates pin-holes the seam is known to let cold water in. Intrigued? Check out our wetsuit seams vlog. Back Zip Entry: Backzips have made a resurgence in recent years as the wetsuit world realises that not everyone is a contortionist. Read our exposé vlog on wetsuit entry systems. Smart Seams: Oneill's immense experience as a wetsuit company (Jack Oneill is touted to be the inventor of the modern wetsuit) allows them to draw on decades of anatomical research. 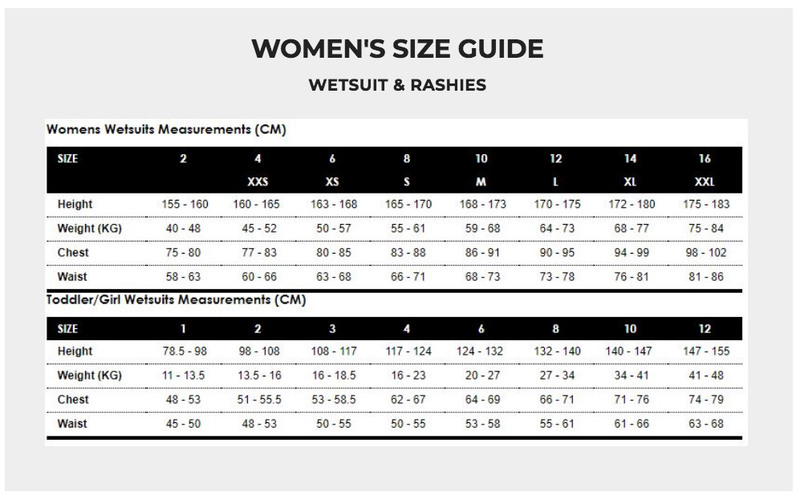 All of this creates a range of wetsuits that minimises the overall length of seam and ensures they're in low-strain zones and don't cause undue rash - this isn't just true in there $700 suits but is a part of their entire wetsuit range.